This oversized t-shirt is designed by The Post-Couture Collective as part of the world’s first downloadable garment collection. The archetypical shape is inspired by architecture, and features an innovative construction technique that eliminates the need to use a sewing machine to put it together. 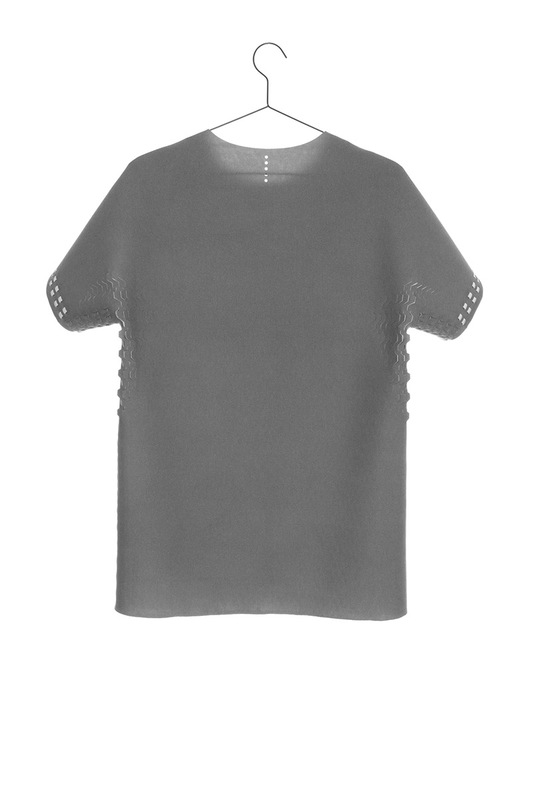 It has an short sleeves that can be extended with optional sleeves. 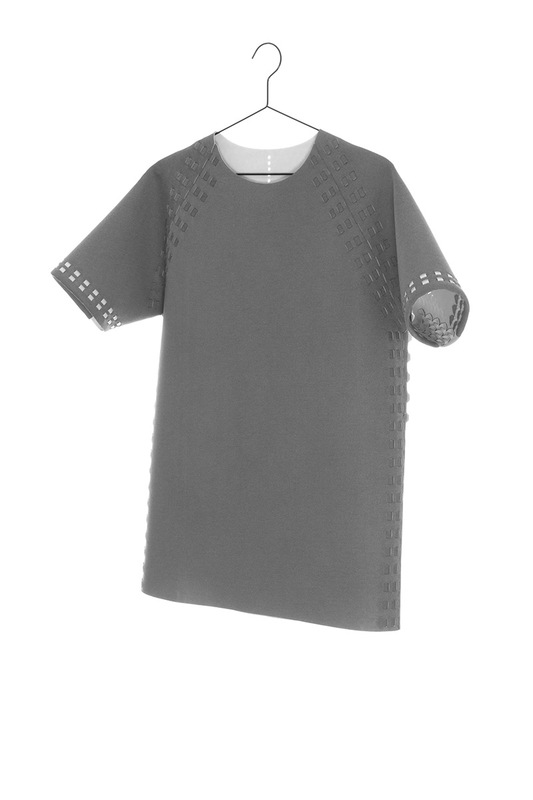 Under the arms the garment features a cooling technical laser-print which helps the garments breathe. For this design you need a lasercutter that has a cutting surface of at least 900 x 1100 mm / 35,5" x 43,4”.